Today I received an e-mail update from IWC that they are looking for an internet content manager instead of a journalist as posted before. The contact details remain the same (see below) and the job description is depicted below. 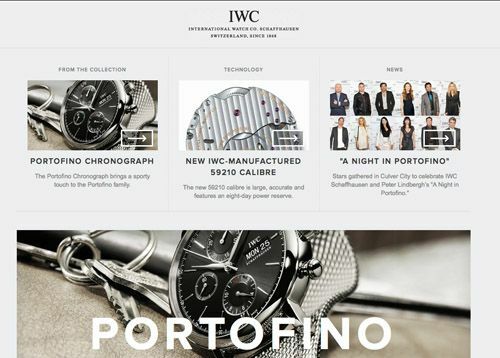 Sourcing/creation and updating of content on the IWC.com site in line with the overall website production plan. Working with internal teams and Richemont legal to ensure that IWCs content acquisition is managed properly. Reducing litigation risks as well as ensuring optimal conditions and prices for content. Working with internal teams, the editor in Chief and print production suppliers to develop and publish the quarterly publication of Watch magazine. Ensure that content is available for use on IWC.com and iPad tools. Working with the regions to define content acquisition and creation to meet the local brand requirements: localisation, translation and management of the workflow. The content manager will be responsible for contributing relevant content to the IWC website as well as developing specific content in conjunction with community manager. It will also be the responsibility of the content manager to validate English language. This job description raises your interest? Please contact Franck Babin over at IWC (franck.babin @ iwc . com and loose the spaces) and send him your CV. You can contact him via his Linkedin account here.